From the company: Tellagami is a collection of innovators, technology gurus and creative artists in San Francisco exploring new ways to bring your messages to life. By combining photos, voice, character customization and personality on a mobile platform, we help you communicate in a way that’s never been possible. Helpful Tip: In addition to sharing with family and friends, people can also save the completed Gami video to the device and embed the video on their blogs and other websites. Tellagami is an APP that allows the user to build a character/avatar with varying characteristics, backgrounds, and props. 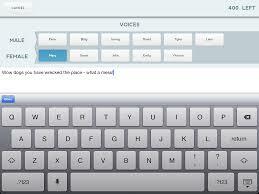 Users can also record their voice to have the avatar speak. The characters can be realistic to cartoonish, depending on what you want to do with them. You can find more information at www.tellagami.com. While the APP and basics are free, you can purchase more options. 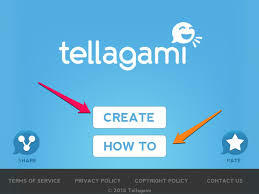 When you open the Tellagami APP you will be asked to choose options of CREATE or HOW TO. If you click HOW TO it will give you step-by-step instructions, like I am giving you. Select CREATE to make your Tellagami. Doodle allows you to draw and paint in the background. 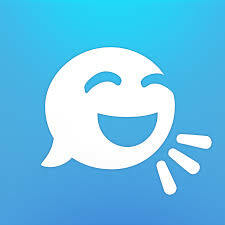 This APP is very easy for kids to pick up and use. Last year I gave a brief lesson to my Kindergarteners and they picked it up and used it for weeks after with very little prompting or instruction. So how could you use this in class? Do you have other ideas for how to use Tellagami in class? Share them in the comments section below.